With divorce rates on the increase it is encouraging to young couples to learn of marriages that have reached 50 wonderful years of togetherness. While no two people enter into marriage thinking that it won’t last, there are certain elements of a good marriage that increase the likelihood that a couple will be together many years later. Clearly the couple who has celebrated their golden wedding anniversary has found a way to make their relationship work. One of the most crucial elements of a long-lasting relationship is to be great friends. While you would think that two people who love each other are automatically good friends it is not always the case. Being friends as well as lovers makes spending time together something that both enjoy and look forward to. Spending time together should be something that the couple wants to do and not something they do just because they are a couple. There will be plenty of events a married couple will attend together but when two people voluntarily agree to do something together it is based on friendship and not obligation. See the best gifts for the anniversary of your friends! Having a good sense of humor is helpful no matter whether a person is married, single or living with several other people. When a couple has spent 50 years together a sense of humor can be the one thing that reduces what could potentially lead to an argument into a less serious moment. The seriousness of the discussion will still remain but adding a light-hearted quip into the mix is a good reminder that life doesn’t have to be serious all the time. When two people can laugh at the same jokes it adds to the fun when one hears a joke they feel is worthy of sharing with their partner. 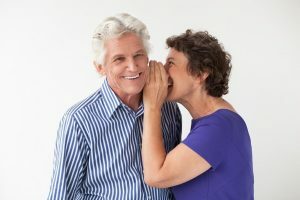 There is joy in both telling and hearing jokes that make you laugh, particularly when you know your partner will enjoy it as much as you did when you first heard it. While it is not critical that the same things amuse both partners in a marriage it does make it somewhat easier. When one partner is unhappy with something the other partner did it can be easy to vent frustration with their behavior to a friend or family member. A good marriage is one that is based upon good communication, and the ability to talk problems through to resolution without bringing in outside influences. No one knows their marriage the way the two involved do, neither does anyone else know the two as well as they know each other. After 50 years of living together there is very little they don’t know about each other. There is a saying that goes along the lines of “never go to bed angry”. While this is idealistic the purpose is to encourage couples to talk out their differences so that when they go to bed they are not still angry at each other. The bedroom is a couple’s sanctuary and there is no place for anger within it. At the very least, if the problem cannot be resolved before bedtime, the couple should make all efforts to agree to set aside their differences and revisit the issue the following day after a good night’s sleep. Barring adultery, nothing undermines a solid marriage quicker than money issues. Financial stress has been identified as the major cause of divorce. It is not just about there not being enough money to pay the bills. It can often be more a case of the couple not being ‘on the same page’ when it comes to what they want their future to be like. Having children together has also been identified as one of the strongest elements of a long-lasting marriage. There is a bond that is created once children come along that can never be broken. Children are the proof that two people care enough about each other to want to share that love with others. Just as it is important to spend time together it is equally important to have time apart. Each person needs to have pursuits that don’t involve the other. While young married couples probably cannot imagine not doing everything together there is great benefit both to the individuals and to the marriage in having separate things they like to do. There are 3 relationships within a good marriage: his with himself, hers with herself and the couple together. It is not realistic to expect a couple to want to do the exact same thing at the exact same time, and each partner should feel comfortable and encouraged to go out and do something alone or with friends. This reduces any chance of one or the other feeling resentment at having to do something they don’t want to just because they are a couple. It is also good, if space allows, to have a room or area that is separate from the rest of the communal space. A man may consider the garage his domain while a woman may want a craft room. Both of these spaces allow each of them to be creative and have a place to retreat to when they feel the need. Any relationship, regardless whether that of a 50 year married couple or two people who have just begun living together, requires compromise on both parts to promote a happy living environment. Compromise doesn’t mean one person has to give up their values or beliefs. Instead it means the little things such as being willing to sleep on the left side of the bed because your partner prefers the window side of the bed. Compromise means working together so that neither partner is completely disadvantaged but both can come to an agreement that means they both get at least some of the advantages they seek. One of the compromises that men typically make is allowing the woman free reign when selecting décor and furnishings. Provided the couch or easy chair is comfortable to a man the color doesn’t really matter as much as having a happy wife. Women do the same thing about the garage. Provided their car can be parked inside the garage they consider that space the domain of their husband and will not interfere in how it is set up. Check out the most romantic gifts for your next anniversary with your spouse now! Any marriage takes work. Taking one’s partner for granted is a big mistake that some newlyweds make. While loving one another is a given respect and understanding needs to go hand in hand with that love. Provided effort is made to nurture the relationship each and every day the marriage will go from strength to strength, and a couple will be able to face outside challenges as a team. 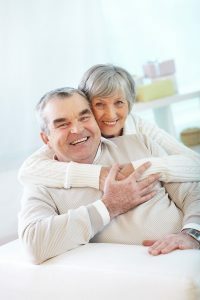 Being able to do this is how a couple can be blessed with lots of golden wedding gifts from people who admire them and want to celebrate such a wonderful marriage.